So, you have opted to purchase Managed Services annually for the past few years, and you have been enjoying the benefits that Managed Services offers to your business. But as your company and market evolves, your Managed Services subscription may require an upgrade as well. Having only one IT consultant may no longer be enough, if your business has grown considerably, and your company’s network may now extend beyond the limitations of a single IT consultant. New problems may also plague your now larger and possibly more complex network. No unplanned expenses – Fixing IT problems will cost you, and more often than not, that cost can be prohibitive. You’ll be forced to shell out money unexpectedly so that you can address the problem as soon as possible, so the effect on your work is minimal. With the appropriate Managed services, you can allocate your budget accordingly. Lower staffing costs – Filling-in IT staff positions is often much more expensive, not to mention more tedious, when put side by side with Managed Services. You have to train them as well. Managed Services provide you with trained personnel who specialize in managing your network for a much lower cost. 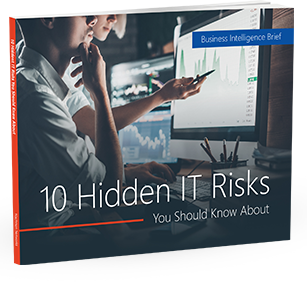 With the right number of experienced IT personnel, network disruptions would be largely minimized. Increased operations efficiency – When network problems are eliminated, the efficiency of your operations would noticeably increase. You could do more and serve more. Your customers would be happier and your employees would be free from frustration. All of this of course leads to higher revenues.